Blues is not Blues. The evolution of the Blues formed many different styles often named by the area where it was created, like Delta Blues, Chicago Blues or Texas Blues. They assimilated local music styles, changed the instrumentation, the chords and chord sequence, added special notes or modified scales. The transitions between the styles are often unsharp, the same Blues can contain characteristics from different styles. Many artists can also be assigned to different styles, they moved from the Delta to Chicago and developed a new style like Muddy Waters or B.B. King, so Muddy Waters could appear as a Delta Blues artist, too. Same to the labels: many of them released different styles over the years. Below is a brief comparison chart for the some popular Blues styles, consider this as as attempt to describe the main characteristics, not a scientific list for music theory. It is not complete, there are hundreds of (local) sub-genres like the Memphis style, the Detroit style, St. Louis Blues, Louisiana Blues, Kansas City Blues or New Orleans Blues. 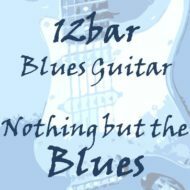 There are also hundreds of great Blues artists that are not listed. For detailed information search the web, look at the AMG site or read some of the books shown on this page. Country Blues is the more general term for all raw acoustic Blues styles. See the regional styles (like Delta or Piedmont Blues) for detailed information. History/Area: Earliest Blues style from the Mississippi Delta (the area in the northwest section of the state of Mississippi between the Mississippi and Yazoo Rivers, not a real delta in geological terms), first described in the beginning of the 20th century. First recorded in the 1920’s. History/Area: A Country Blues style developed during the 20’s and 30’s in Georgia, South Carolina, North Carolina, and Virginia. Influenced by ragtime and country string bands it was played by both black and white, rural and urban people. A fingerpicking style emulating ragtime piano, the left hand piano rhythm is played with the thumb and the right hand piano melody with the forefingers. Characteristics: 12 bar structure, fingerpicking, bouncy alternating thumb bass, more lively and melodic than the low-down Delta Blues. History/Area: Developed from the Delta Blues when in the 1920s and 1940s (Great Migration) the black population started to migrate northwards (usually along the Mississippi river), to the big industrial cities like Chicago (and Detroit), which promised profitable job opportunities and so a better life. Nearly 3 million blacks left the south between 1940 and 1960. They took their music with them, adapted it to the urban life, the Blues became electrified and was played in a band with drums, bass and piano. Influenced by jazz music, Blues players like Muddy Waters or B.B. King created the new Chicago style. Players Mike Bloomfield and Paul Butterfield opened it to white Americans. The Blues Brothers movie is a Chicago classic. History/Area: Spread from the Delta already in the 20’s, it was the music of African American working in Texas at on the fields or in lumber camps and oilfields. With the great depression the people started to move to the big cities like Houston and Galveston (like the Delta Blues musicians moving to Chicago). Texas Blues includes both the early acoustic pre-war Blues as well as the post-war urban electric Blues and the new era of bands like ZZ Top or the Fabulous Thunderbirds with Stevie Ray Vaughan, the variety is much bigger than in other styles. The rhythm (“Texas Shuffle”) is different to the Chicago rhythm and has some spanish flamenco and jazz/swing influences, the guitar is the dominating instrument both for solo and rhythm. History/Area: Jump Blues came up during the 1940’s with a huge Jazz/Swing influence. The danceable uptempo music was played by big bands and became the precursor of Rock ‘n Roll as well as Rhythm And Blues (R&B). History/Area: When Big Bill Broonzy, Howling’ Wolf, Muddy Waters, B.B. King and other Blues artists had their first gigs in Great Britain in the 1950’s and early 1960’s, artists like Chris Barber, Alexis Corner, Cyril Davies, John Mayall as well as the Rolling Stones began to discover the Blues roots and started playing it. It was the birth of the electric guitar heroes like Clapton, Green, Page, Beck and more and the beginning of groups like the Blues Incorporated, Yardbirds, Cream, Fleetwood Mac or the Who. General term for all piano based Blues forms like Boogie-Woogie, Cool Blues, Barrelhouse and more. From Barrelhouse style (12-bar blues, repeating rhythmic patterns left hand, melodies and improvisations right hand) to Jazz Blues. History/Area: Having the same roots Jazz music is heavily influenced by the Blues, so there are many Blues elements in Jazz music. It combines the 12 bar structure, blue notes and blues phrasing with jazz harmonies and jazz chords.